Back as far as the 80's NASA knew volatile organic compounds or VOCs had been building up in our increasingly energy-efficient but poorly ventilated offices and homes - and space ships - and were contributing to a phenomenon labelled Sick Building Syndrome (SBS). Brought inside as petrol and coal by-products in TV and computer plastics, paints, carpets, varnishes, adhesives, lubricants, solvents, refrigerants and propellants - among many others - these VOCs can readily vaporise into various toxic gases that we inhale. Typical effects are headaches, nausea, dizziness, loss of concentration, dry eyes, sore throat and coughs but in the longer term could contribute to asthma or cancer. So much contemporary design has been geared toward blurring the line between inside and out. But the emphasis has been on making the outdoors more like our interiors. An answer to SBS and VOCs is to bring more of the outdoors inside. Simple ventilation can be the cheapest and easiest strategy - letting fresher air in to dilute accumulated gases. 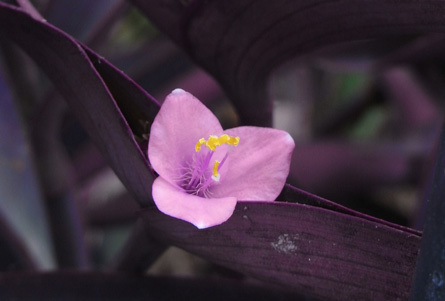 Studies also show that indoor plants - combined with the soil in which they grow - can significantly improve indoor air quality by reducing VOC levels. Their leaves absorb organic gases and move what's not digested down to their roots as food for soil microbes. Leaf transpiration also creates convection currents that push VOCs down into the soil. Some plants work this leaf-soil combination better than others. 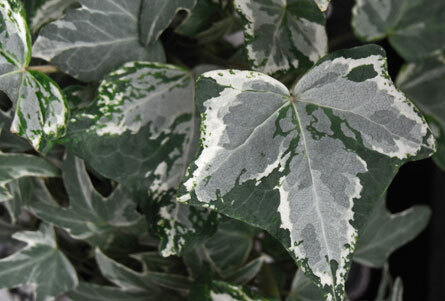 Luckily for those with confined spaces, several smaller plants with finer leaves seem to be the most efficient. In a study limited to 28 common indoor plants, red flame ivy, English ivy, wax flower, asparagus fern and purple heart eliminated the greatest number of different VOC's in the greatest quantities for their size. That's not to say that bigger houseplants with greater resources don't do the same job overall. 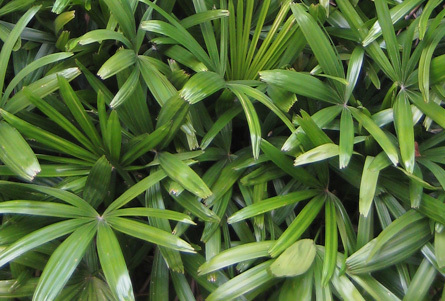 Plant for plant, good VOC-busting palms are the bamboo palm, golden cane palm, lady palm and pygmy date palm. Other foliage plants are the Boston fern, rubber plant and happy plant. 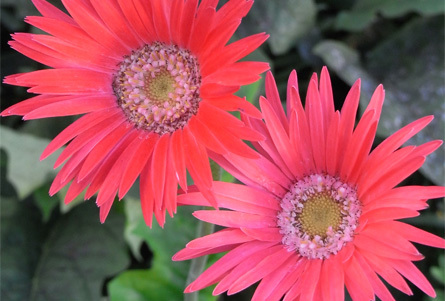 The gerbera, pot chrysanthemum or peace lily will provide flowers as well. As different plants process different VOCs at different rates, unless you know exactly which VOC is a particular problem, it's more useful just to focus on finding a combination of species that will grow well under the conditions of your available indoor locations.